A guitar never comes alone, so I decided to design and build a guitar case and a guitar stand as well. The guitar stand is made of two different kind of woods. 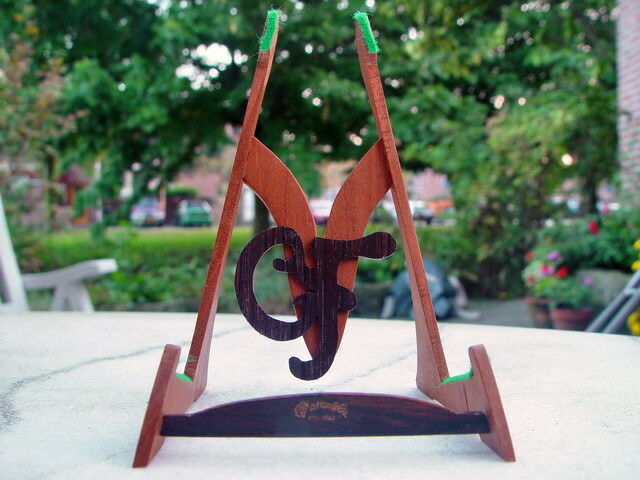 The stand itself has actually the shape of the character 'M', the characters 'CF' are glued in the middle. On the front there is the same Old Style CFMartin logo as on the headstock.